Most travel tales begin and end with the book in your hand. Not this one. 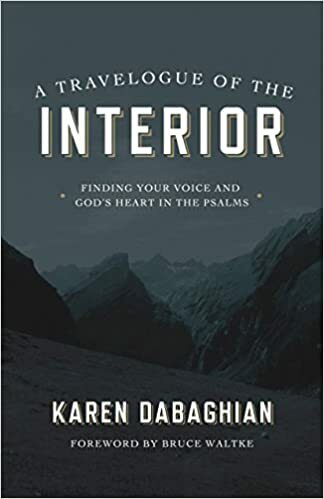 As Karen Dabaghian shares the adventure of her year in the Psalms, you’ll embark on an ancient journey for those hungry to know God more intimately. The Psalms were the hymnbook of the Hebrews, Jesus, and the early church. Today, we tend to pluck a verse here and there for a word of encouragement, but we have lost the Psalms as a guidebook for spiritual formation. You can rediscover the Psalms as a traveler. Explore the terrain where your interior life and the Word of God intersect. Begin speaking to God with raw honesty. Listen as God replies with personal, life-giving words. Karen Dabaghian has been a follower of Jesus for 35 years. She wears lots of hats – wife and mother, author and blogger, high-tech marketer and bass player. She has a Masters in Rhetoric from Penn State and lives in northern California with her husband and two daughters.